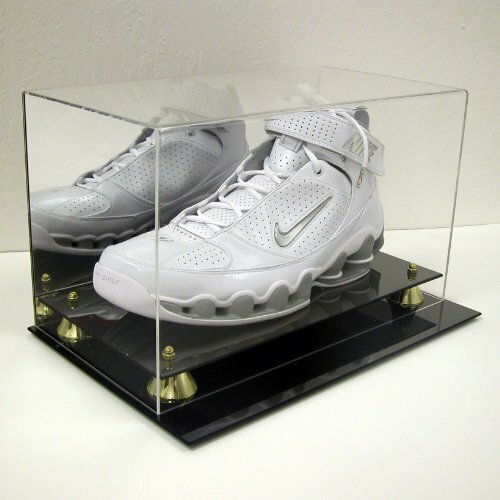 Item Number: AD101 DELUXE SPORTS MEMORABILIA DISPLAY CASE with GOLD RISERS and a MIRROR BACK FITS ONE SHOE / CLEAT UP TO SIZE 22 PERFECT FOR A BASKETBALL SHOE WILL FIT SHAQ'S SHOE SITS PERFECTLY ON A COUNTER Inside Dimensions are: 18" x 8" x 10" Holds one shoe or cleat! with a mirror back and gold riser black acrylic base. Protect your memorabilia shoes with this deluxe display today!! Superior Quality! 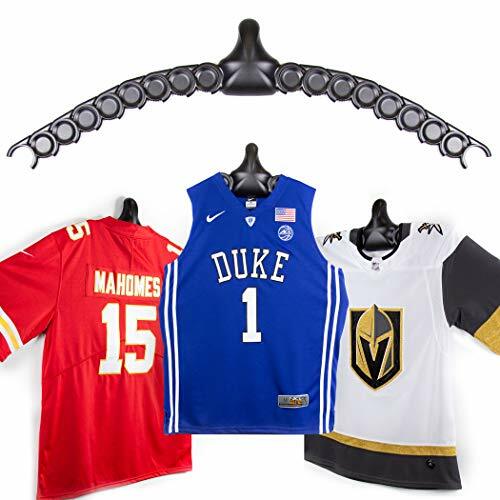 The JerseyGenius not only makes it easy to display any jersey on any wall but it is the only Jersey Display that makes it just as easy to take down and wear! Display and protect your favorite Professional and College hockey, football, basketball and baseball collectible jerseys. JerseyGenius consists of 1 shoulder bracket and 16 pivot joints. Use as many pivot joints as you need to customize GeniusJersey to the shape of your unique jersey. Simply snap the joints together, slip your jersey on your JerseyGenius and hang it on the wall. No tools are necessary. The JerseyGenius is the perfect adjustable jersey hanger for a dorm room, apartment, mancave, sports room and more! 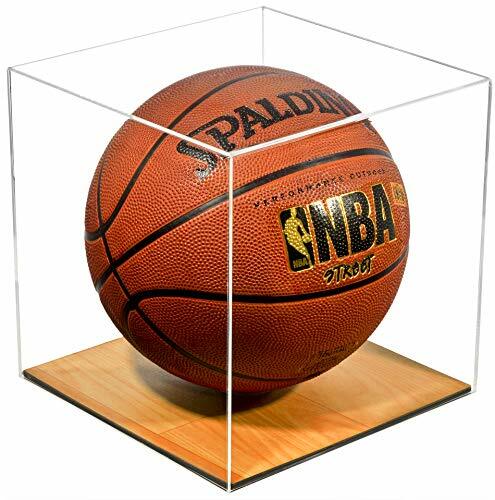 Protect your collectible basketball in a beautiful, high-quality, table top display case. This case is constructed of 1/8 crystal clear, durable high clarity acrylic. 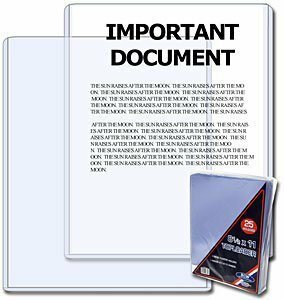 Front and top of case are made from one piece of acrylic (plexiglas), giving an aesthetically pleasing rollover appearance with fewer seams. Bottom piece is black acrylic topped with simulated wood vinyl providing an authentic action appearance. Dimensions are: 9.75" Long; 9.75" Deep and 9.75" High. Interior dimensions are 9.5 Long; 9.5 Deep; 9.5 High. PLEASE NOTE the top clear acrylic piece sits on top of the bottom vinyl simulated wood piece, the two pieces are not attached. This is a wonderful gift for the person who has it all, but needs something to display it in. Memorabilia pictured in the display case is not included. Check out the pictures of the various items our very creative customers display with this display case. Manufactured and sold only by Better Display Cases (a Veteran owned company). Please see our other display cases by visiting our other Amazon listings! We would love to help display your story! 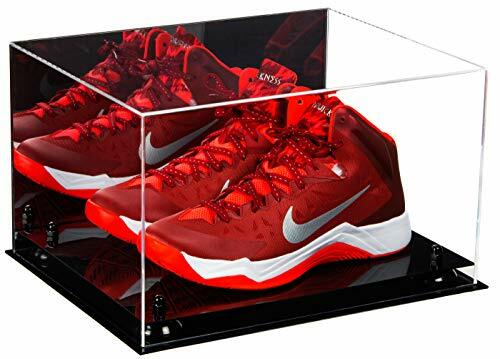 Item Number: AD61 DELUXE SPORTS MEMORABILIA DISPLAY CASE with GOLD RISERS and a MIRROR BACK FITS ONE SHOE / CLEAT UP TO SIZE 15 PERFECT FOR A BASKETBALL SHOE WILL FIT KOBE'S SHOE SITS PERFECTLY ON A COUNTER Inside Dimensions are: 15" x 8" x 8.75" Holds one shoe or cleat! with a mirror back and gold riser black acrylic base. Protect your memorabilia shoes with this deluxe display today!! Superior Quality! 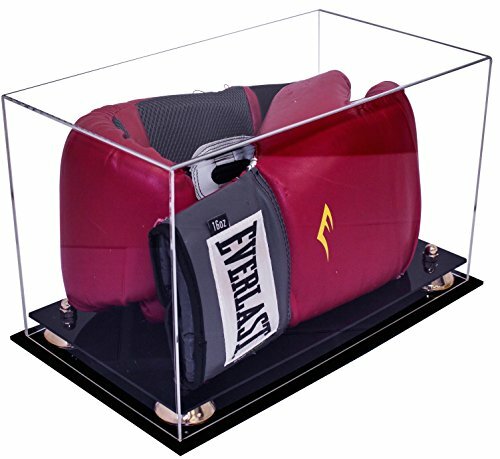 Protect your collectible boxing glove in one of our beautiful, high-quality, display cases. These cases are constructed of 1/8" crystal clear, durable high clarity acrylic. Front and top of case are made from one piece of acrylic (plexiglas), giving an aesthetically pleasing rollover appearance with fewer seams. Black acrylic two-tiered base includes gold metal risers - not cheap plastic ones like other manufacturers use. Rubber feet are placed on the bottom to protect from scratching your table or shelf. This is a wonderful gift for the person who has it all, but needs something to display it in. Memorabilia pictured in display case is not included. Check out the pictures of the various items our very creative customers display with this display case. Manufactured and sold only by Better Display Cases (a Veteran owned company). This display case is sold only by Better Display Cases. Please see our other display cases by visiting our other Amazon listings! We would love to help you display your story! Penny Card Sleeves are an acid free, archival quality product made of crystal clear polypropylene. 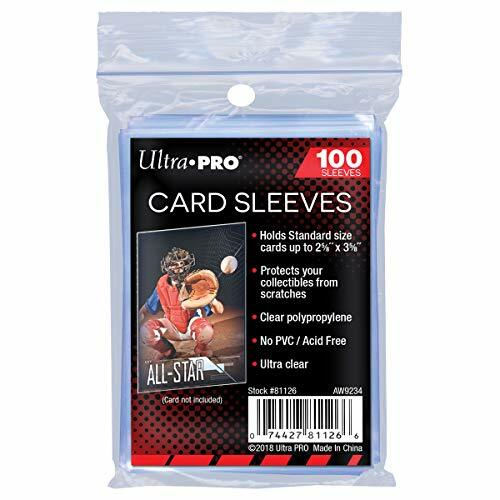 Use this protective holder to protect, store and display your collectible trading cards like; baseball cards, basketball cards, football cards, hockey cards, YuGiOh, Pokémon, Magic The Gathering, VS, Dragon ball Z and others. 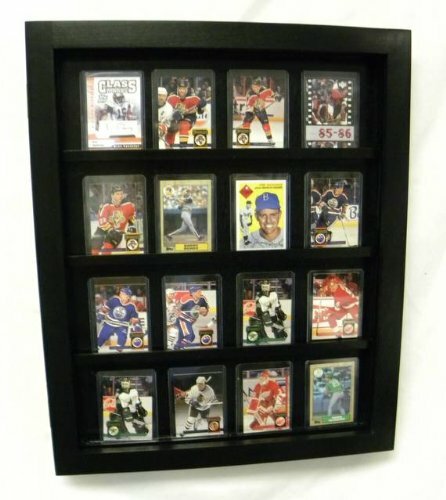 THIS Glossy Black 20 baseball CARD WALLMOUNT CABINET card display case P375B. 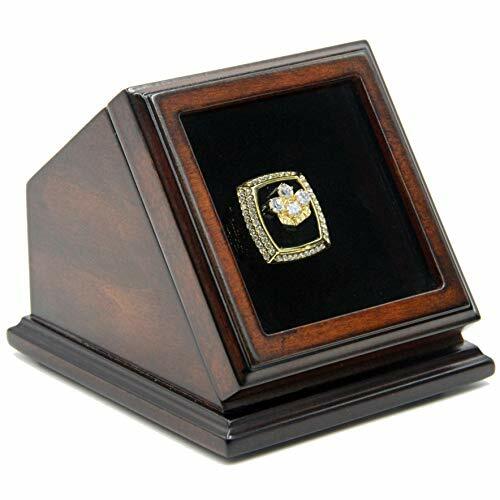 WILL SHOW OFF YOUR VERY BEST OF hockey cards , baseball cards, basketball cards, Nascar cards, Football Cards, that are under 4" tall x 1/2" thick 100% UV protection THE OUTSIDE DIMENSIONS ARE: 18 X 22 x 1.5" INSIDE DIMENSIONS ARE 15 1/2 X 19 1/2X 1/2. This 20 card display case has 16 cards pictured but there is a ½" between the cards so it will hold 20 cards in most cases , measure your cards and compare to the sizes listed just to make sure, as there are thousands of different sized cards out there. In some of the smaller cards it may even hold more. IT WILL MOUNT JUST ABOUT ANYWHERE!! ITS A SOLID HARDWOOD cabinet WITH AN ACRYLIC FRAMED IN DOOR. Cards set on a shelf inside the case, Cards will lean forward towards glass for best viewing. THIS IS A GLOSSY Black FINISH. Items shipped to apartments and are over $55.00 will require a Adult Signature per Amazon Buyer Protection Policy. Also sometimes the shipper may require a signature to certain address's. The PVC used in BCW Toploads contain no plasticizers or stearates. Our high impact grade PVC does not migrate and will not harm your cards, photos or prints, while offering maximum protection and visual appeal.